Xanadu Courtyard Apartments are large, modern and located near the campus of LJIC in Fort Dodge. The apartments provide everything a student will need in a home away from home! 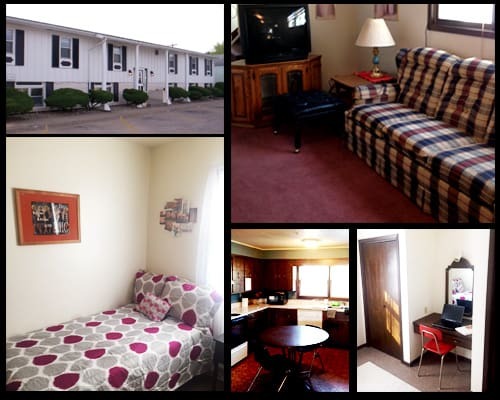 Within walking distance to Crossroads Mall and several restaurants! Hear from Students at Xanadu! I love that I have my own room with a full kitchen and laundry room in the apartment! I save money by walking! I love the apartment style at Xanadu – It is so MUCH better than dorm living! AND Xanadu is close to almost everything. 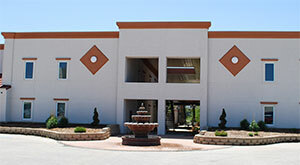 Xanadu apartments are great – we have a dishwasher, washer, dryer, WIFI and nice furniture. The location is great – it's an easy walk to eat and we're right behind the school so I'll never be late! Moving from Cozad, Nebraska, the dorms gave me the opportunity to have the college dorm experience. I made new friends and have lots of amenities within walking distance! The dorm has given me the opportunity to be on my own.